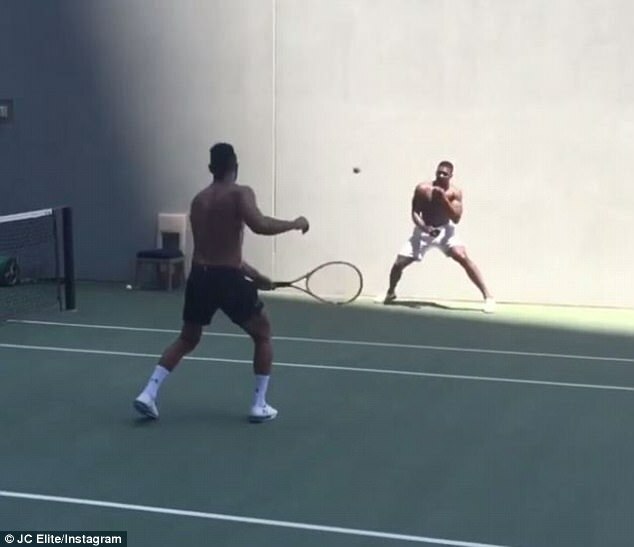 World heavyweight champion Anthony Joshua is poised to reveal the date of his blockbuster rematch with Wladimir Klitschko any day now but in the meantime has swapped the boxing gloves for a tennis racket. The WBA, IBF and IBO boxing champion is a big tennis fan and to hone his lightening quick reflexes the hulking star has come up with an ingenious workout to merge his two sporting loves. With the help of one member of his trusted training camp, his right hand man JC Elite, Joshua has been testing his speed. His friend and coach JC – who is also a top tennis coach – drilled a series of backhands and forehands at the champ as he stood pinned against a wall on a tennis court in Las Vegas last week. Joshua, who is expected to face Klitschko again in November in Las Vegas and is due to announce the news this week, is a keen tennis player himself and counts world No 1 Andy Murray as a close friend. 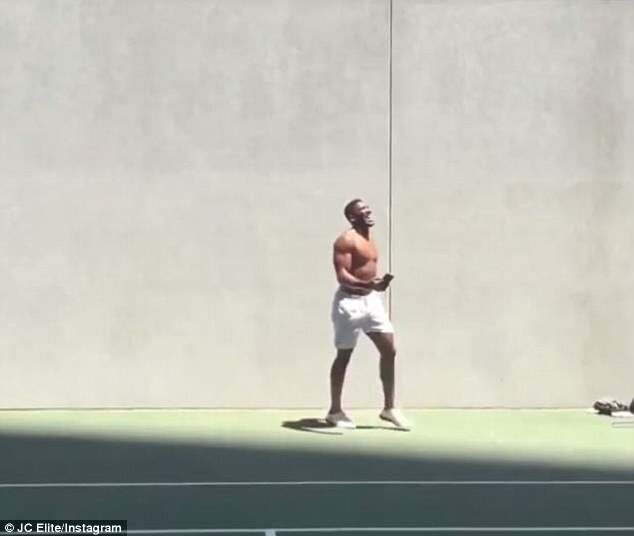 On his own Instagram page, Joshua posted a similar video of him training on the tennis court of his Las Vegas hotel last week, in which he is seen doing sprints on the court and playing some tennis with JC. Nice day out on the court with @jcelite14 … Wimbledon effect,’ Joshua wrote as the caption alongside the clip of the duo. Tennis coach JC is one of Joshua’s key team members and helps the champ get in condition for his fights. On Friday the heavyweight champion posted on Twitter a video of him working out, captioning it ‘official news coming soon’. And to add more fuel to the fire of expectation, his promoter Eddie Hearn posted a photo of the pair of them together on Instagram with the words: ‘Won’t be long’. 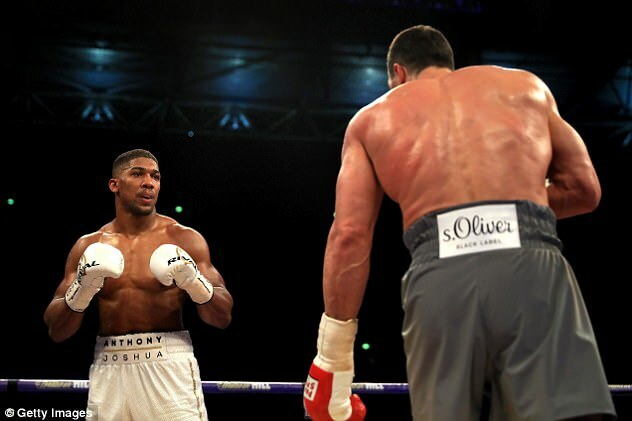 It was reported last week how Joshua is likely to fight his rematch with Wladimir Klitschko on November 11 in Las Vegas. 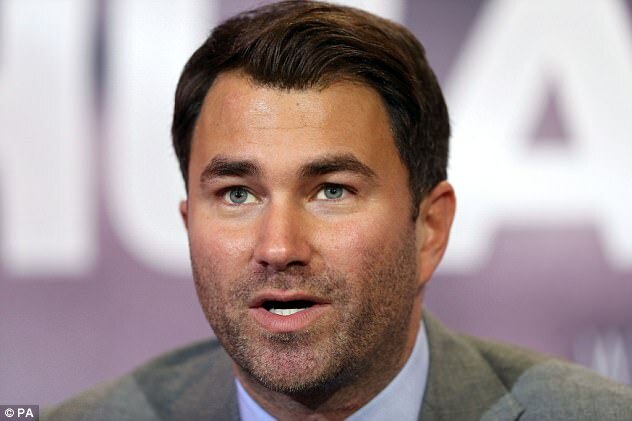 Eddie Hearn travelled to Vegas with Freddie Cunningham, Joshua’s manager, and Frank Smith, Matchroom’s head of boxing, for talks with senior management at MGM Resorts. They hope to stage the World Boxing Association and International Boxing Federation heavyweight title fight at the T-Mobile Arena in the city on November 11. 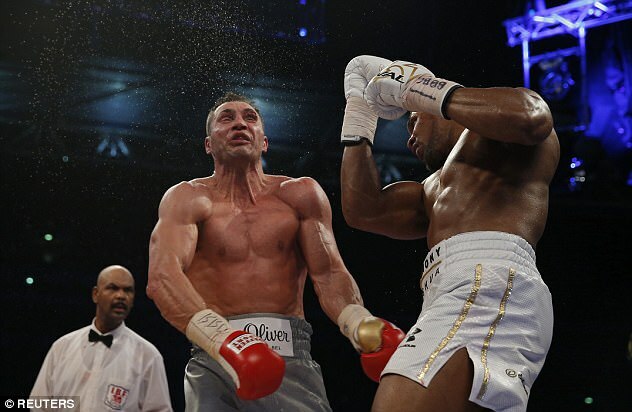 While Klitschko has yet to trigger the rematch clause in his contract after their thrilling clash at Wembley Stadium in April, Hearn believes he wants the chance for a final fight in Las Vegas – where he last boxed in 2004. Hearn said: ‘I’ve been in Vegas with AJ, officially applying for my Nevada boxing licence to promote there and that went well. ‘I met with the MGM and met with the T-Mobile Arena. Vegas is the front-runner and November 11 is the date that is pencilled in. ‘It will probably take a couple of weeks to get everything over the line, but I believe Klitschko will take this fight and believe Vegas will be the one. ‘AJ has been over there for about 10 days and has enjoyed himself and got to know the area a little bit. 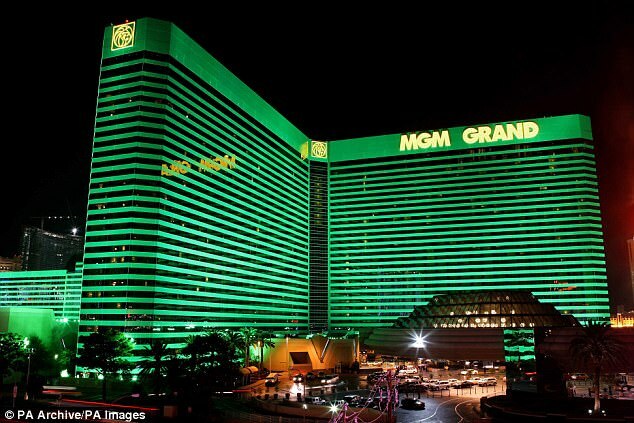 And a spokesman for MGM Resorts added: ‘Las Vegas is the fight capital of the world and we host the biggest names in sports and entertainment. The Joshua-Klitschko fight would simply add to that.